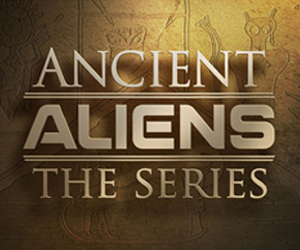 What Are Aliens - UFO Sightings, Reports, Alien Abductions|Vimanas, Evidence of Ancient Aliens? Vimanas are ancient “mythical” aircraft, which were written about in the Vedas texts or scriptures in India between 500B.C. and 1,000 B.C. The Vedas texts constitute the oldest layer of Sanskrit literature. These ancient Sanskrit texts contained very detailed descriptions of ancient flying machines. They described their physical appearance, how they were powered, and even what weapons they carried. The Vedas described the Vimanas as technologically advanced airplanes that flew in the skies, into space and to other planets. 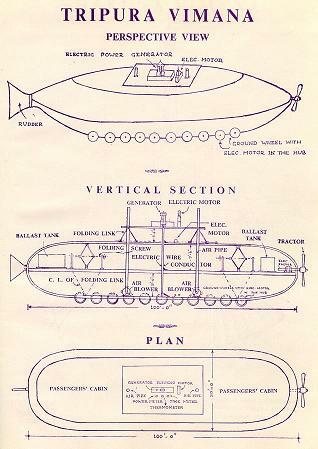 They explained that these crafts were powered by a combination of several gyroscopes, mercury, and electricity. This excerpt describing the operational aspects of the Vimanas seems to ancient alien theorists to be ahead of the times for such an ancient era. According to some, these space craft observers had access to a highly advanced way of thinking about technology. Aviation experts who have studied the Vedas records have declared that Vimanas have many similarities to modern aircraft, specifically jet engines. Also, there are striking similarities between descriptions of vimanas and UFO’s reported by people who have claimed to have encountered them in modern days. 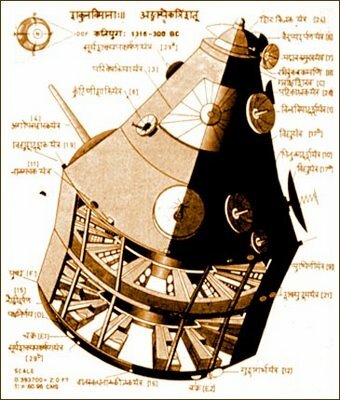 While mainstream historians believes that the Vedas descriptions of Vimanas are basically early mythical science fiction stories of ancient India, ancient alien theorists feel quite strongly that these flying machines were in fact real technologically advanced chariots for the Gods of those living in India thousands of years ago. There is no current physical evidence that these Vimanas actually existed, but the detailed and scientifically-based descriptions of these flying machines have many people convinced that they were indeed flown by humans and possibly extraterrestrial beings or Gods. If we know where we come from, we’ll know where we’re going. You might want to mention that the Veda in question with the technical drawings and descriptions of mercury power, etc. 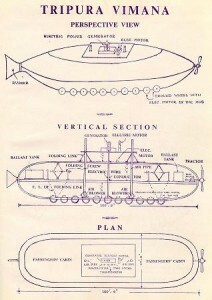 were in fact written in the early 20th Century (around 1920) via “channeling” and by someone who was a student in a local engineering college. Claims of ‘experts’ saying they are ‘similar to modern aircraft’ is disingenuous given a 1974 study concluded they were completely and utterly incapable of flight and poorly designed by someone who had no clue about aeronautics (i.e. the person who wrote the Veda that claimed he channeled it from a being of the past). In other words, they are the equivalent of Jules Verne’s imaginary devices, not based at all on any science or history fact known to mankind. 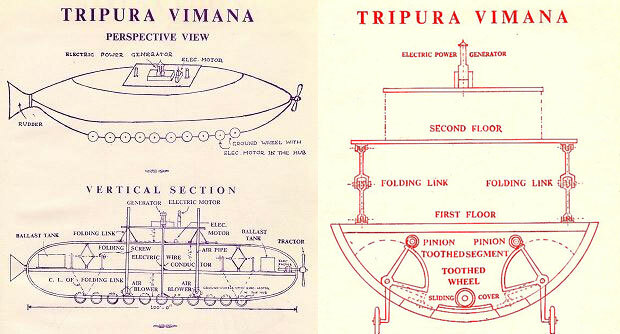 Yes, Vimanas are mentioned in much older texts, but more akin to general story generic descriptions of flying vehicles or animal ships, not detailed structural drawings, etc. as are found in the 20th Century Veda. I personally believe in the possibility of aliens having visited or shaped mankind in the ancient past, but spreading nonsense as so many “ancient astronaut theorists” typically do does nothing but give the mainstream the right to label them all as utter quacks and rightly so, IMO because they surely KNOW things like this are utter 20th Century (not 1000BC) bologna but push it as fact anyway as to try and gain converts from the ignorant masses rather than those that might aid in real research.